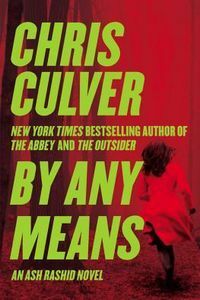 By Any Means by Chris Culver: Synopsis and Online Purchase Options. Synopsis (from the publisher): Ash Rashid thought his days as a homicide detective were over. Now with the police force's community relations department, he gives speeches at elementary schools instead of tracking criminals. But when he discovers two dead bodies during his evening commute, Ash finds himself back on active duty. As he races to identify the victims and track down an abducted witness, Ash realizes that nothing is what it seems. Every clue, every suspect, leads to new questions — and new threats.